"Do you think they'll blame me?" one of the elderly Martin sisters asked. 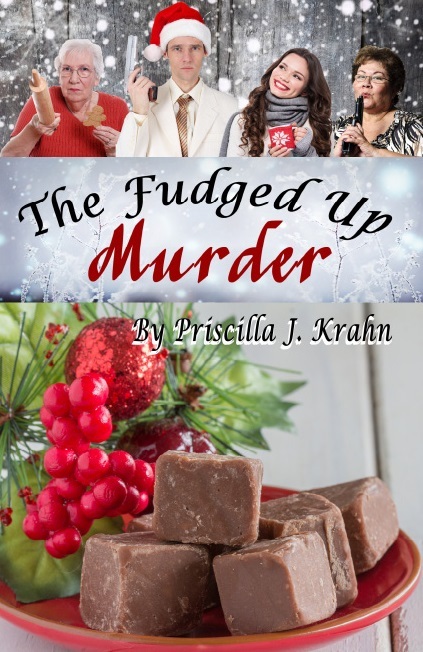 "I mean, it's my fudge that killed the man." "'It's our fudge!" Auntie Bertha cut in. "And of course, they'll blame us." For the elderly Martin sisters, Christmas has never been so exciting . . . or so deadly. When their nephew Clay, an officer in the local police force, is asked to solve the case, things get personal. Can the aunts be cleared? And what about the new neighbor girl? Can Clay trust someone who is clearly hiding something, to help him save his aunts? Or will they all spend a merry Christmas behind bars? 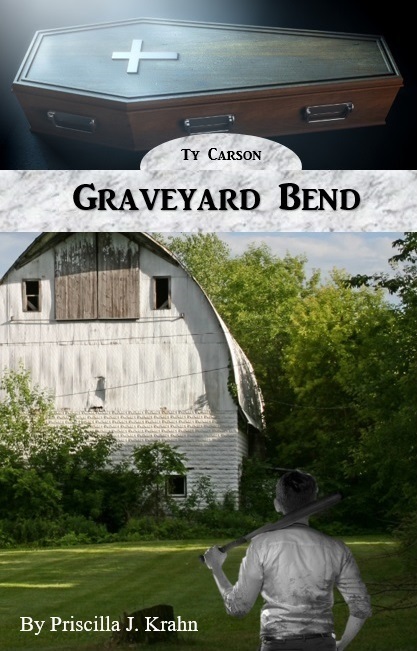 The complete Ty Carson series is now available from Amazon! There's nothing like spending the summer with a grandpa that you don't remember ever meeting . . . Especially when he's murdered the day you arrive. 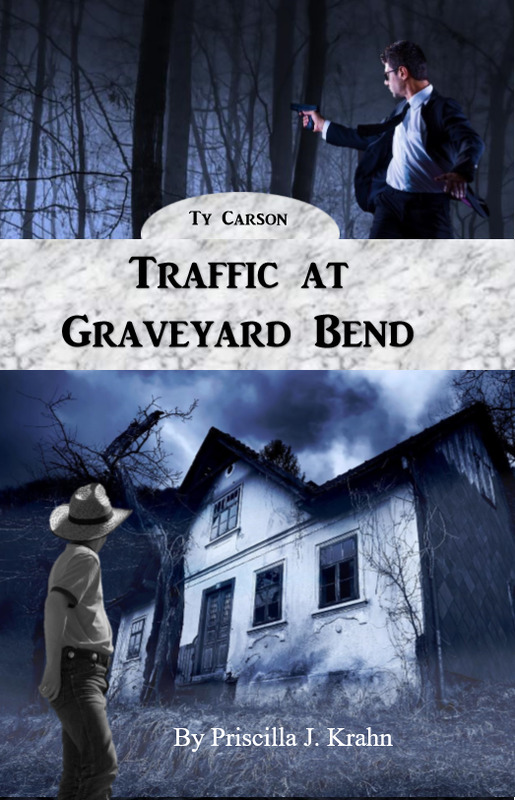 It's been ten years since Ty Carson's policeman dad was killed in the small town of Graveyard Bend and he hasn't been back since. . . until now. Stuck at the boys' home, fourteen-year-old Ty Carson searches for clues to the alleged murder. 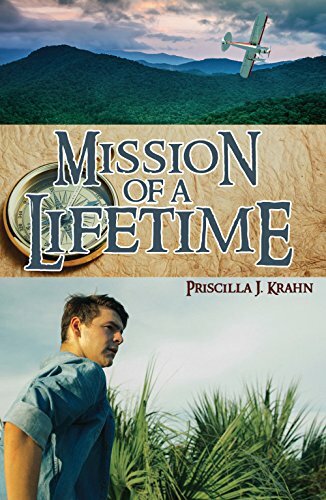 Can a baseball game, a figure dressed in black, and an old gun collection be the things that he needs to find friendship and bring him closer to God? There's nothing like getting new neighbors . . . Especially when people disappear on their property. After a summer at the boys' home, fourteen-year-old Ty Carson can't imagine feeling at home anywhere else. Things seemed perfect . . . until the new neighbors arrived. Can a new kid, threats against the home, the new neighbors, and his mom's absence help Ty learn to trust God? When Uncle Wyatt leaves, can Ty and the gang do the right thing? Or is losing the home inevitable? 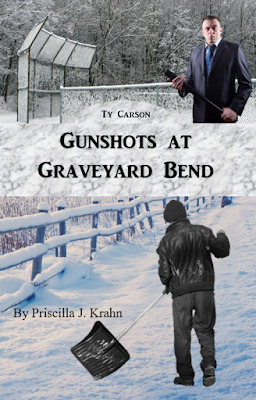 With a gun in his hand, and fear in his heart, Ty has to make a decision, but will it be the right one? There's nothing like starting Christmas break shoveling snow . . . Especially when you're being chased with a shovel. Getting off on the wrong foot for Christmas break isn't what fourteen-year-old Ty Carson wanted to do. The missing dogs seemed bad enough, but then the play was dumped on them. 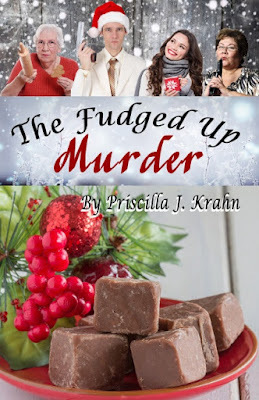 Can a maniac killer, an angel costume, and gunshots help Ty experience the joy of the Lord? When threats turn to reality, can Ty stop the disaster? Or is a gang war inevitable? Will the weather cause problems of its own, or will it help them as they try to save a young boy? 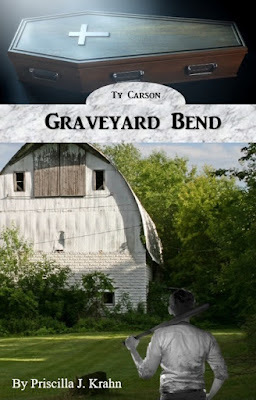 With dead dogs and a humiliating experience fresh on his mind, Ty has to save the town, but will his warning be in time? You can purchase it as a Nook book from Barnes and Nobles, a Kindle book from Amazon, or an e-book from CBD! The printed book is available from Amazon and Christian Book Distributors. Also, be sure to watch the book trailer! A unit study for beginning writers! This workbook can be purchased from Lulu.com. All of the following books are available in both paperback and kindle format. 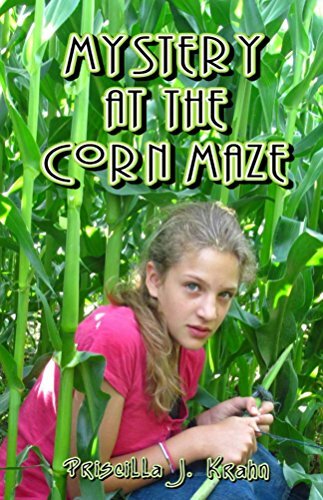 It was just a normal afternoon for twelve year old Leah Brink until something strange happened at the corn maze next door. Along with her two friends, Leah charges head first into a race against time. Can they find out who's vandalizing the maze before Mr. Creval has to shut the maze down? In the midst of danger, fear, and failure, Leah wants nothing more than to do the right thing. An overly confident friend, and an annoying little sister bring challenges into Leah's life that she's not ready to face, but does she really have a choice? What if the only way for Leah to find true joy and success is by trusting God? Join Leah and her friends as they work together to show God's love to others in the midst of a thrilling mystery. A criminal father . . . changes she never imagined . . . and a past she never dreamed of . 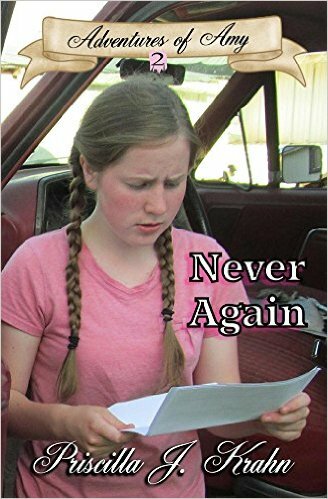 . . Thirteen year old Amy had always lived a normal life, before the police started looking for her dad. 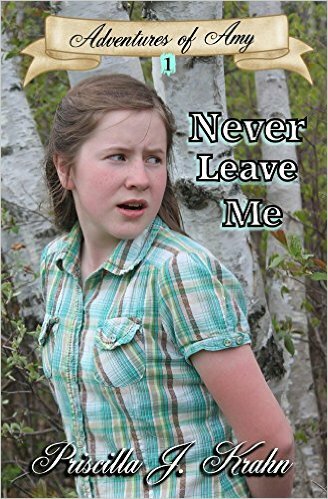 When her dad leaves her with cousins that she has never met, she wonders if she will ever see him again. Will her life ever go back to being normal? Can anything give her the peace that she wants? 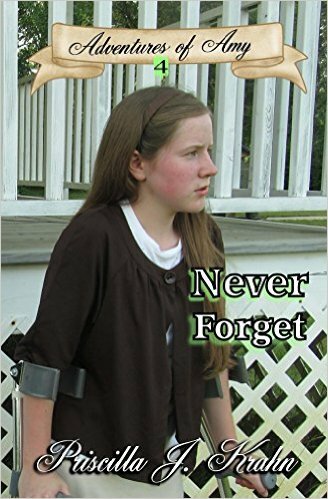 When Amy gets kidnapped, and finds out she's not who she thought she was, she wonders if God is really there. Will Amy live long enough to find out who she really is? Join Amy as she learns to keep her mind on the Lord. A real family . . . a mad surgeon . . . and a frightened sheriff. Accepting a new family turns out to be a bigger challenge than Amy had planned. Amy tries to trust her family but will they be able to protect her? When Amy receives a threat note from the Surgeon, they try getting help from the local sheriff . . . only he's too scared to help. What secrets does her rib hold? Can they find Uncle Luke before it's too late? Join Amy as she learns to thank God for everything! A medical university . . . stolen medications . . . and suspicious doctors . 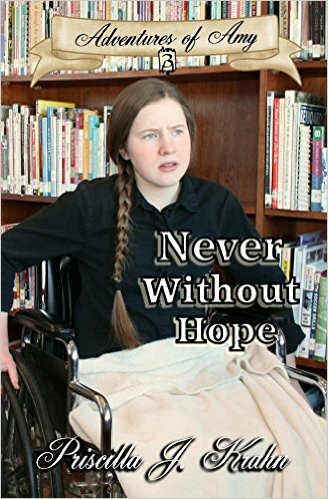 . . At the Ned Home, a Christian medical center, Amy battles to survive her bone cancer . . . but is cancer the only thing threatening her life? Had Kaitlen's death just been a coincident? Is there a murderer around? As Amy tries to conquer her pride and be a good friend, she struggles with knowing who she can trust. Will Amy find the evidence needed before it's too late? Unexpected trouble, slander of the innocent, and government agents. The fuse is lit and Amy feels that life as she knows it will be gone forever. After a year on the Penner farm, Amy doesn't want anything to change . . . but change does come. Brent is missing and the farm is falling apart. The new pastor and a new sheriff just complicate things. Amy can't figure out what is going on. What secrets does their land hold? Why is the government involved and how does Dr. Josh fit in? Join Amy as she learns to wait on the Lord.